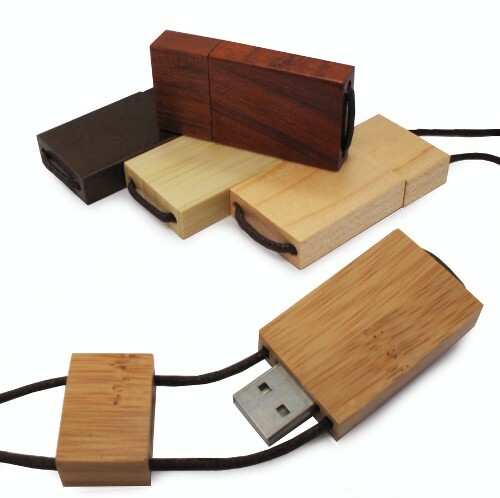 This eco-friendly rectangular drive is made from bamboo. It features a handy lanyard style cord for easy portability. An added bonus is the drive and the cap are laced into the cording, cutting down on lost and misplaced caps! Front & Back: 1 3/8" x 1"